According to @TheWizard the often discussed and generally feared Black Key did not cause the collapse. 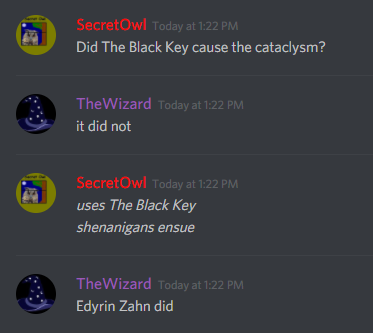 We now know that someone name Edyrin Zahn is the cause of all the mayhem! I for one cannot wait to learn more about this person.